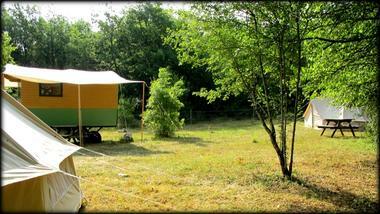 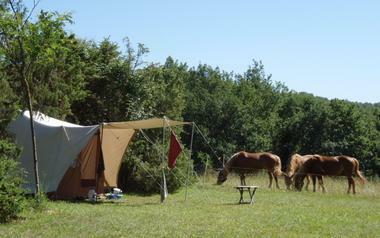 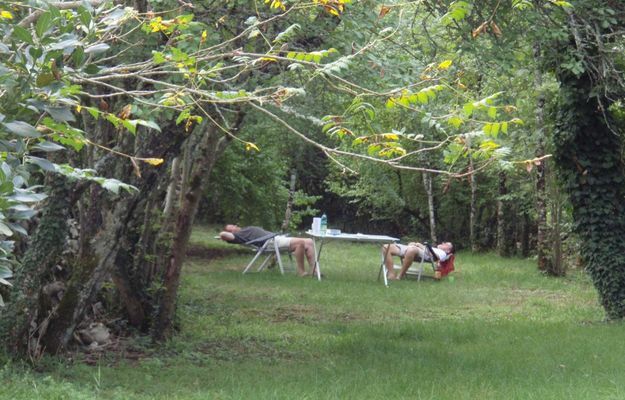 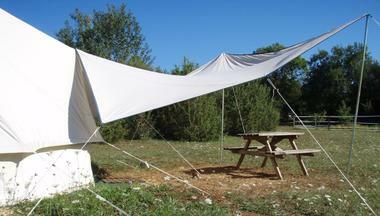 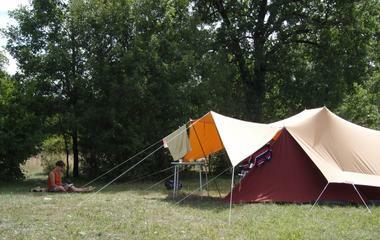 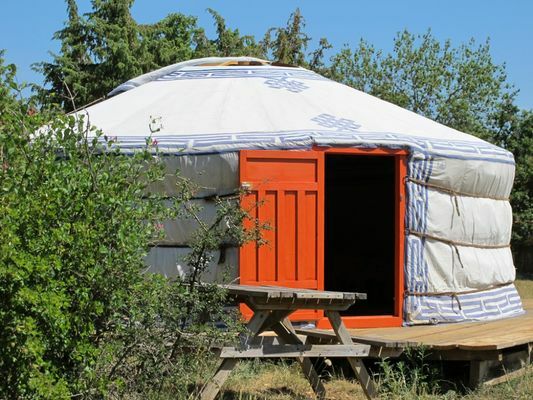 Surrounded by oak trees and juniper bushes, this Natural camp site (aire naturelle) is located on the Causses du Quercy (limestone plateau)between the Lot and Célé rivers. 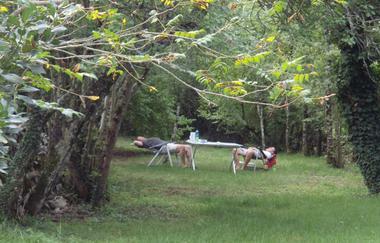 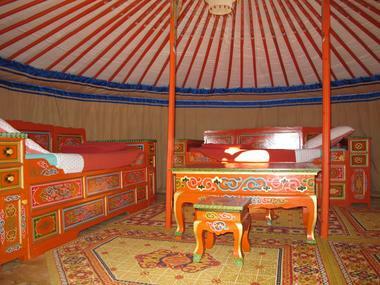 Very close to Saint Cirq Lapopie and the Pech Merle caves, this place is serene and tranquil. 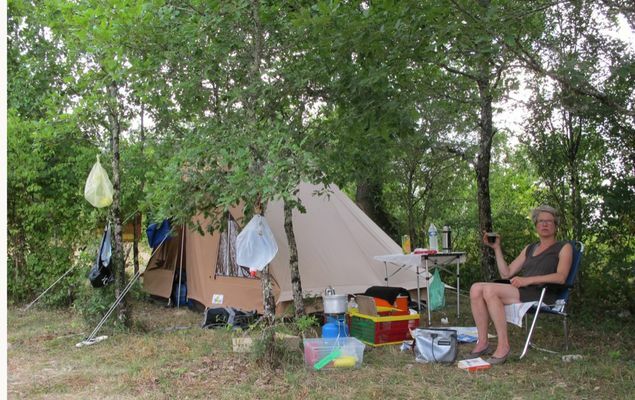 In the interests of keeping it peaceful, the number of campers is limited, and cars are not allowed on the site itself and must remain at the entrance. The beauty of the countryside and the many paths and tracks crossing the Causse accessible from « les Cadichons » will delight ramblers. 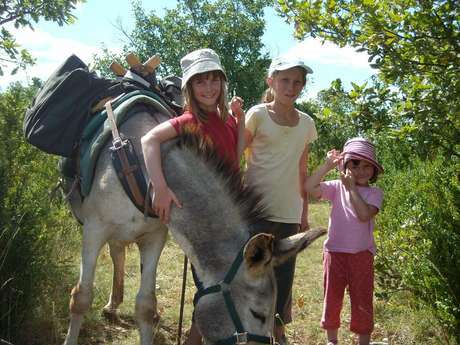 The « cadichons », or donkeys, can accompany you on walks, carrying your picnic, and will perhaps inspire you to take a several day walking tour starting and finishing at the camp site.